Yorwoods organises the Forestry Arena at the Great Yorkshire Show. In 2017 the Show runs from 11th to 13th July. It is one of the country’s largest agricultural shows, with around 130,000 visitors over the three days. 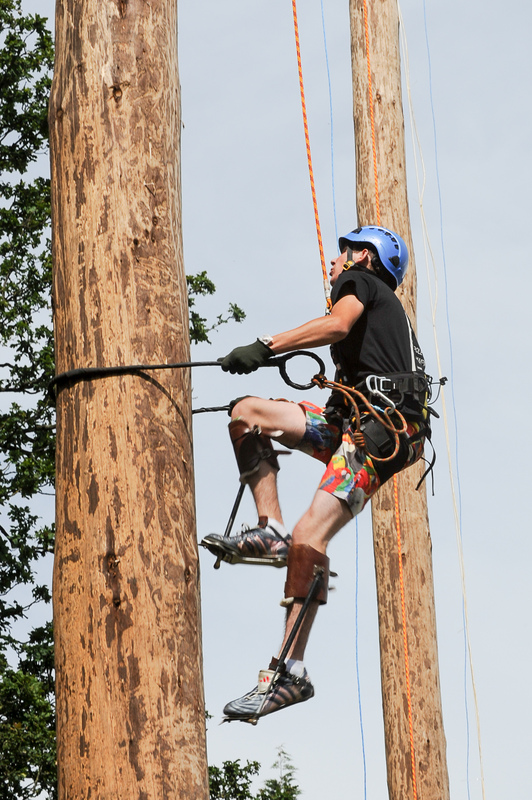 This year the Forestry Arena will include the Cumbrian Axemen, Cut Above Specialist Tree Services, John Deere Forestry, Karl Barker Chainsaw Carver, Keighley Tree Services, Teamwork Horse Logging and the Great British Poleclimbing competition. Pole climbing involves racing up an 80ft pole as quickly as possible and is one of the arena highlights. Pole climbers receive free entry to the Show for themselves and one other, free camping and the chance of winning prize money. There is attendance money for those who apply early enough. There is also a free barbecue following the Show on the Wednesday evening for everyone who enters.